Winthrop were appointed as the M&E Contractor on this prestigious project. The electrical installation optimised energy consumption with advanced Lutron Quantum controls that coordinate motorised window shades with lighting controls. A UPS system was installed with generator backup for protection of critical loads on the trading floor. 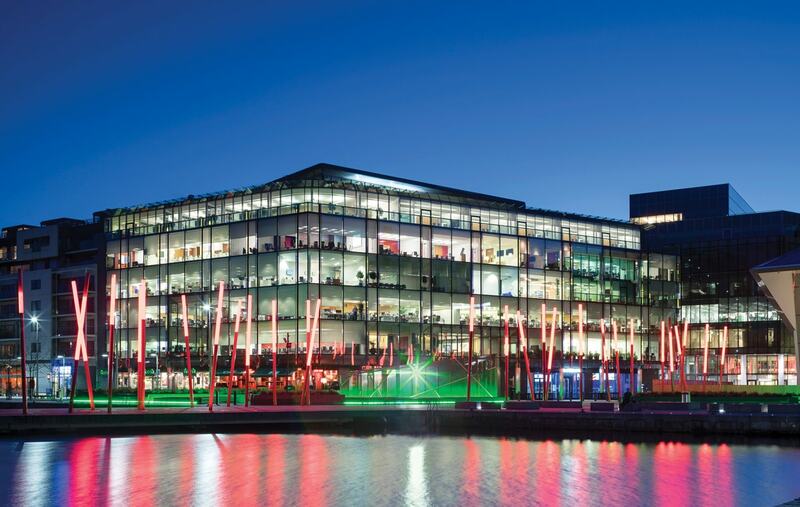 The building’s impressive exterior glazed façade takes in panoramic views of Dublin’s thriving Grand Canal Dock and Square. The existing top floor space is to be fully stripped out and remodelled as a Trading Floor. A new HVAC system was installed which includes a full N+N cooling system that will guarantee cooling to the trading floor. The BMS is controlled by a standalone Automated Logic (ALC) infrastructure to meet specific requirements. Fire protection to critical zones on the trading floor were provided by an automated high pressure MIST system.